When i was about 2 years old, a mere 45 years ago **gasp**! Who was your first horse/pony? A Stock Horse called Symba, who was around 14hh. My Dad was the Head Stockman at Rifle Downs when i was a child and he used to lead me around on Symba, then when I was old enough to ride by myself I would chase the cattle. How long have you been doing Dressage? Only 2 years, so I am a real newbie at this sport but it is a great challenge. Andrea Riedel-Carrison conned me into it! 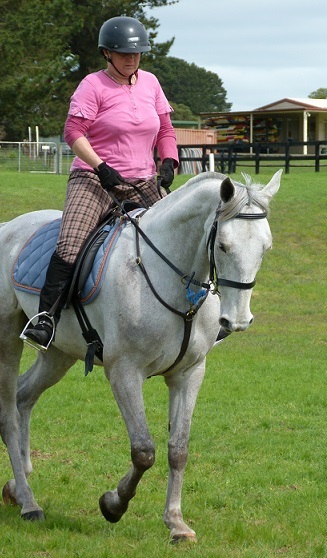 I was going to her for lessons and one day Bronwyn Bond was there and said i should have a go at dressage, so i did! I have 3 horses at home at the moment: Tarls (Sunny Time), Sismoe (Berriedale Gypsy Princess) and Katie (Little Miss Bouderae). 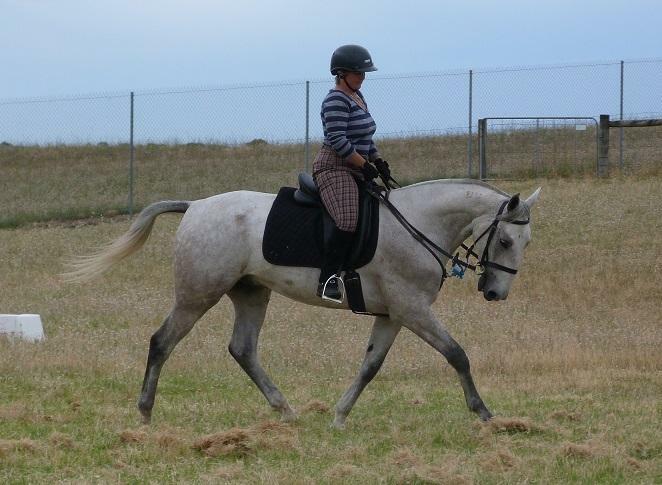 Tarls (Sunny Time) is my grey Standardbred gelding who has come forward in leaps and bounds, very trainable and willing to give anything a go. He has taught me a lot about retraining Standardbreds and teaching the trot and canter work. Last year we did Prep level and we have just had our first Prelim start at Mundulla Show just a few weeks ago, coming 4th outright which I was really excited about. We are now ready to take on the 2014 SEDA Series at this level. I hope to start competing Novice level in the next year. If i could move up a level each year and reach Elementary i would be very happy. If you could ride any horse who would it be? Fuego XII, the Andalusian stallion who competed at the the Olympics and World Equestrian Games. Look him up on Youtube... He is wow! Gidget the Boxer and 2 cats, Lilly & Annie. Lilly is actually a boy! It's a long story haha. 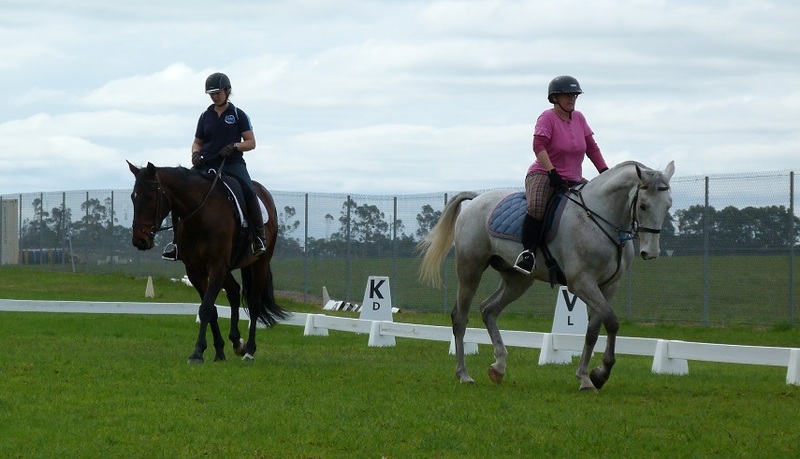 Prefer geldings, mares or stallions? I don't really have a preference, they all have good and bad points at different times. Handiest item in your tack room? Don't fall off :) That one is always a handy one!